Within the last decade, we’ve seen a of number changes to the way we bank, furthermore the rate of data consumption has increased immensely, not mentioning the sharing mechanisms associated with web 2.0 technologies delivered in a mobile operating system. 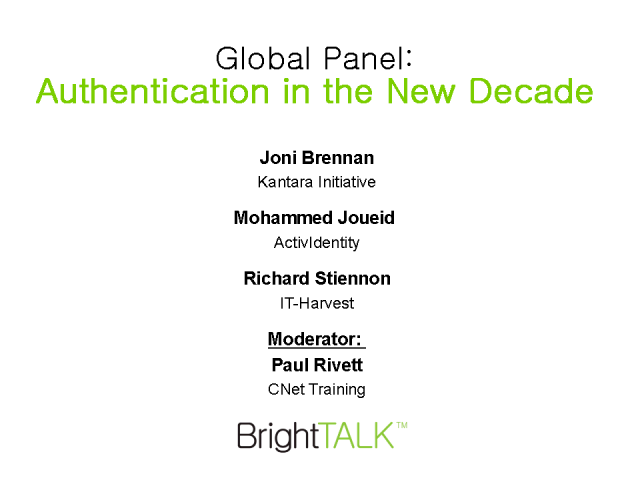 How is authentication and security adapting to meet the needs of the consumer and address these changes in behaviour? Engage live to ask real time questions and take part in the live audience polls to shape the direction of the discussion.